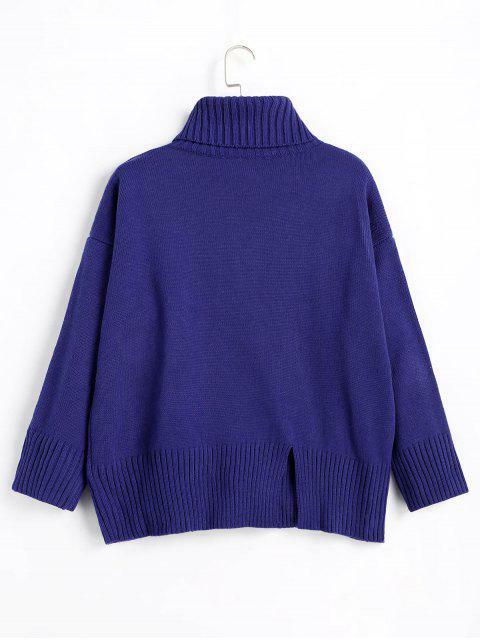 [58% OFF] 2019 Slit Oversized Turtleneck Sweater In ROYAL | ZAFUL .. I was so scared that it wouldn't fit me properly because it was one size fits all, but it looks really nice on. It fits boxy and looks tight yet baggy, if that makes sense. I like the fit of it tho, and the colour is nice too. 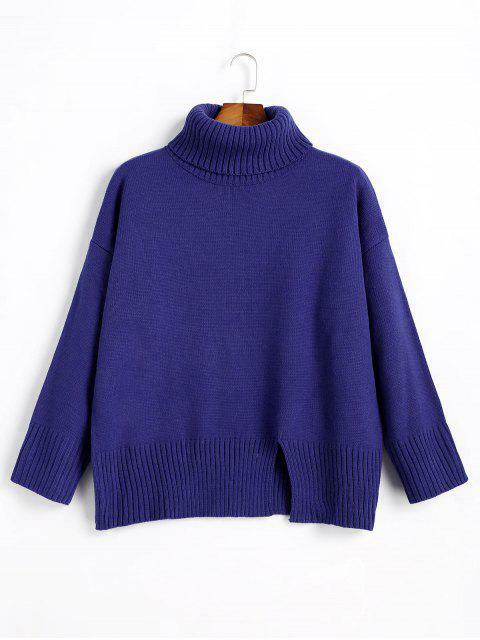 It looks exactly like the picture, tho I for some reason thought it would be more shorter, like a cropped sweater. Its a full sweater and is okay qua thickness. Its not thick but not too thin. Just your average jumper. The only downside is that the sleeves don't come all the way down to my wrist. But I have long arms to begin with so it's nothing I can't deal with. All in all, it's a nice sweater and I'm happy with my purchase. Замечательная кофта, размер большой, поэтому на мне она сидит как oversized. Мой размер одежды - XS. В связи с переполненными заказами к Новому году шла долго (три недели), но качество скрасили все. Очень советую эту кофту, она достаточно стильно смотрится и с укорочёнными джинсами, и подходит под oversized пальто, а также под кроссовки направления air max 95-97, укорочённые сапожки или под ботфорты. I love love love this sweater! The quality is incredible - I felt like I was wearing something much more expensive than it was. It wasn’t super short so I was able to wear it without feeling like my tummy was hanging out and I was originally worried about that! Def a must have for this season - I felt so chic and cute in this! 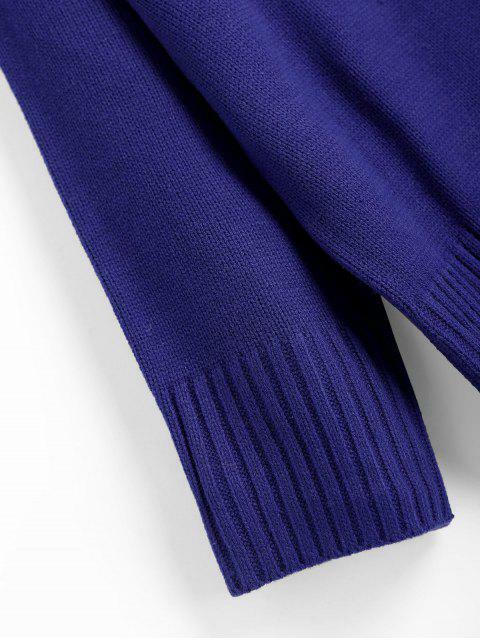 This pullover sweater with turtlecollarline features a slit details on the front and back in a oversized silhouette.